The ethical reputation of financial institutions is positively associated with the size and gender diversity of its board. A board’s busyness and insufficient monitoring practices are negatively associated with the ethical reputation of a financial institution. CEO duality is positively associated with a banks ethical reputation. The recession had a lesser impact on the ethical reputations of banks with CEO duality, larger boards, stronger monitoring practices, and fewer board meetings. Ethical Reputation of Financial Institutions: Do Board Characteristics Matter? This research was motivated by the public response and subsequent debate following the 2008 financial crisis, in which it was revealed that financial institutions engaged in unethical lending practices which, in part, helped finance the housing bubble via subprime mortgage loans. The authors make a point of observing and quantifying the relationship between a bank’s ethical reputation and the characteristics of its board members through a purely objective lens. This study relies on empirical analysis, meaning the researchers rely on observable, quantifiable data (rather than relying solely on theory) in reaching their conclusions. Their data pulls from a sample of 43 large, public financial institutions across 13 countries, including the United States. The authors clarify that, while 43 institutions may seem like a small sample population, 63% of the institutions sampled are classified as “globally systematically important financial institutions” or g-SIFIs and are responsible for handling a substantial amount of the world’s financial assets. Data was extracted from over a period of five years; from 2005 to 2010. The institutions’ ethical reputations serve as the dependent variable in this study. Researchers base their measurement of this variable on the EthicalQuote reputation index as defined by Covalence. The equation below accounts for both the the Covalence EthicalQuote index (referred to as the “ethical score”) as well as the “ethical rank”, which orders the sampled financial institutions from first to last on the index at a given point in time. The relative measure of the absolute ethical score accounts for any biases stemming from the size and public exposure of one financial institution relative to another. 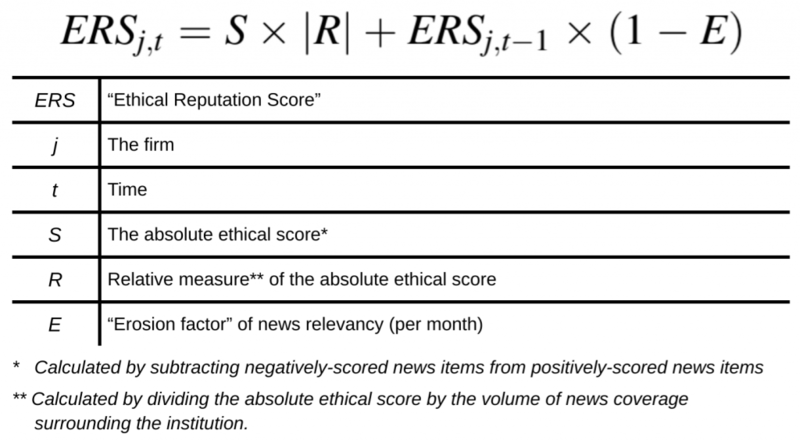 Positive and negative scores assigned to news items follow the definitions for positive and negative media coverage outlined by Covalence. The authors were thorough in outlining actions taken to emphasize objectivity in their measurements. Board size: logarithm of the quantity of board members. Small board: variable equaling “one” for institutions with board sizes below the median of the sample population. Board meetings: logarithm of the quantity of board meetings throughout a given fiscal year. Board experience: average tenure of a board’s directors (in years). Board independence: percentage of board members with no material relationship to the company. Busy board: variable equaling “one” for financial institutions whose directors serve on an average of three additional boards. CEO duality: variable equaling “one” for financial institutions in which the CEO also chairs the board of directors. Board affiliations: average number of board seats, per director, occupied with other companies. Two or more females: variable equaling “one” for financial institutions with two or more female directors. Board gender diversity: percentage of board seats occupied by women. The composite value of each binary criterion is added, giving the “poor monitoring” index variable a value between one and five. “Financial services” and “non-U.S. institution” were also included as dummy variables. The “financial services” variable equals “one” when the sampled institution is classified as anything other than a commercial bank while “non-U.S. institution” equaled “one” for institutions headquartered outside of the United States. A detailed breakdown of how control variables were measured is omitted, for the purposes of this overview, as they exist to bolster the validity of results and are not included in the variables from which correlations will later be drawn. A statistically significant correlation was observed between the ethical score and rank of sampled financial institutions and the size (including the small board variable), gender diversity (including the two or more females variables), and poor monitoring practices of its board. Beyond that, a positive association was discovered between an institution’s ethical reputation and the size and gender diversity of its board. A similar correlation was identified with CEO duality. A negative correlation was found between ethical reputation and board busyness. Interestingly, while more frequent board meetings would seem to suggest stronger monitoring and oversight, less frequent board meetings was found to be associated with a better ethical reputation. Importantly, the authors note that the correlation surrounding gender diversity is comparatively less robust and can be chalked up, in large part, to endogeneity in the experimental design. 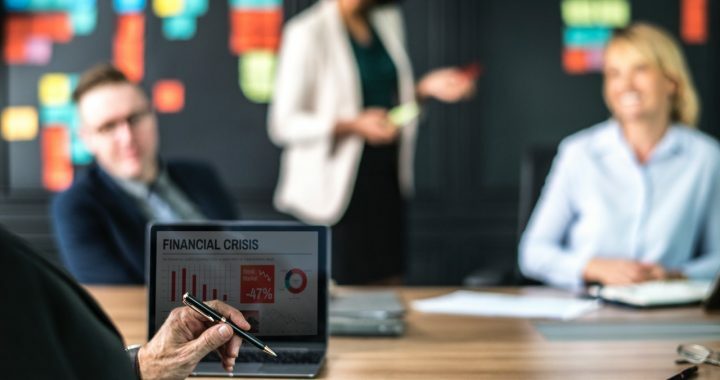 These findings appear to contradict the logic behind regulatory efforts to hold financial institutions to a higher standard of oversight by discouraging CEO duality and promoting both independent directorships and more frequent board meetings. The ethical reputation of financial institutions tends to increase as the size of its board increases. The ethical reputation of financial institutions tends to increase as gender diversity on its board increases. The ethical reputation of a financial institution tends to be more favorable if the CEO serves as the chairman of its board (CEO duality). The ethical reputation of a financial institution tends to increase as the busyness of its board members on its board decreases. The ethical reputation of a financial institution tends to increase as the frequency of its board meetings decreases. For more information and insights on board governance and decision-making, visit the Directorpoint blog. You can also contact us online or call (888) 492-7020 to speak with a board technology specialist. 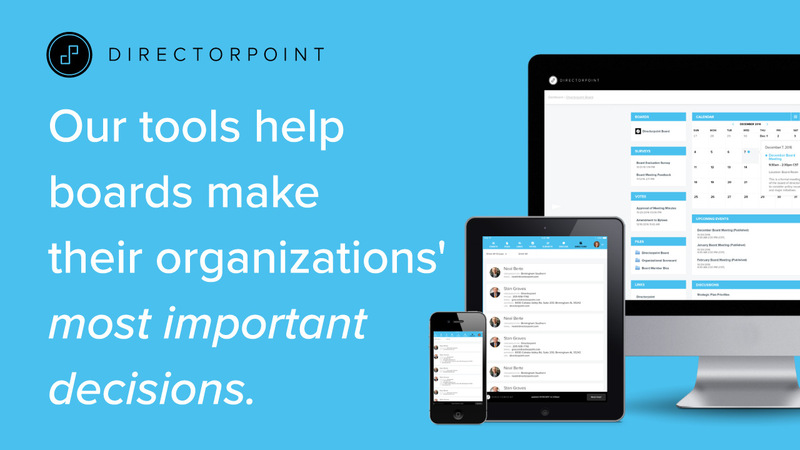 To learn how Directorpoint is helping businesses make better decisions across the board, schedule a demo of our powerful, easy-to-use board software today! 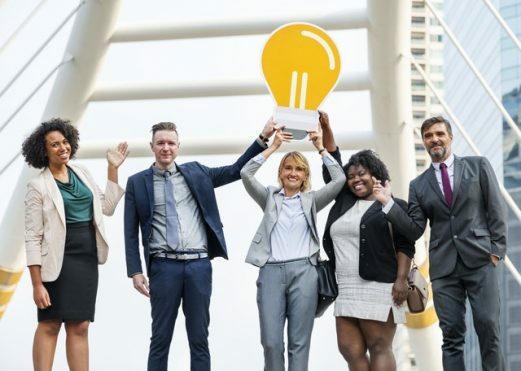 Posted in Blog, Research Recap and tagged Bank Boards, Banking, Banks, board of directors, Board of Directors App, board of directors software, board of directors technology, board portal, board software, financial institutions, financial oversight.